The kamikaze Blairites: either succeed & stop Brexit or destroy Corbyn’s chances of getting into number 10 in attempt. The way the Blairites – and the membership whipped up by the Stop Brexit possessed Blairites – have driven away the Leave vote with their “Stop Brexit” nonsense, those numbers from the Referendum result, 52/48, look likely to echo on down the future of British General Elections. As a General election, they shake out at 408 seats for Leave, 242 seats for Remain. A chunk of the latter are SNP & Sinn Fein. In electoral terms, if they migrate to roughly Leave voting Tory and Remain voting Labour/Libdem, then they, 52/48, are likely to be the results of every general election for the next 2-3 election cycles, give or take a dozen seats. What that means for the Labour membership is a disaster. 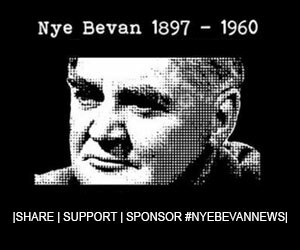 Swathes of Leave voters in Labour’s old heartlands, that were loyal to the core to the Labour of Benn, Foot, Attlee & Bevan will never vote for Labour again after their “stop Brexit” attempts. That means you, Labour Party activist who is trying to stop Brexit. You, the Corbyn supporting, pro EU, Remain voting Labour activist should ask yourself: Had the Blairites won the Labour leadership in 2015 would they ever have salted the earth of their electoral chances by behaving in this way? Not a chance. The reason they have behaved like this is because it’s a no lose situation for them, in their desperation. They either succeed and stop Brexit or they destroy Corbyn’s chances of getting into number 10 in the now failed attempt. As a bonus prize they even drive a wedge between Corbyn and the base that put him in place. Had Corbyn stuck to his anti E.U. Bennite principles, with the shambolic way Theresa the Remainer has handled Brexit, even the Leave voters who loathe Corbyn would have accepted him as PM for at least one term, just to get Brexit done. There was a real, firm chance to have the first Socialist PM since Attlee in place, through one of the greatest opportunities to reshape the British constitution since 1066. And the “stop Brexit” elements that dominate the Labour party have tried relentlessly for 2 years to completely and utterly destroy any chance whatsoever of this happening. The tragedy of that is, many of them are dyed in the wool Corbyn supporters. Dennis Skinner on Democracy, the EU & Jeremy Corbyn.